In accordance with the mission-vision of De La Salle University-Dasmariñas – touching hearts, teaching minds, and transforming lives, the College of Business Administration and Accountancy DLSU-D Night College continues to serve the needs of the indigent working youth of Cavite. The DLSU-D Night is the desire of the program to provide free quality education to underprivileged working youth despite its limited resources. 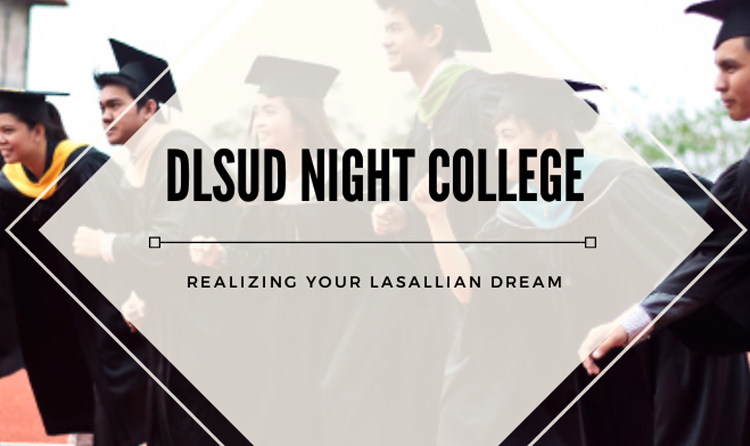 The DLSU-D Night College was developed and implemented in 1998 by the then College of Business Administration Dean, Dr. Jorge A. Camposano, with the invaluable participation of different colleges and departments. This initiative has brought delight to the families of the 19 student beneficiaries who were able to take the Bachelor of Science in Business Administration major in Management. Years after its conception and implementation, the program untiringly opened venues for the development of new strategies in delivering community education. All of these cannot be achieved without the participation of more than 70 volunteer faculty members who unselfishly provided their knowledge, time, and effort to the student beneficiaries. Today, the vision for the DLSU-D Night College is to expand the scope of interests and skill set by reaching out to more student beneficiaries and serve more sectors in the industry with new programs. Through this vision, the DLSU-D Night College will continue to realize the University’s mission of becoming the leading institution responding to the development needs of the country.